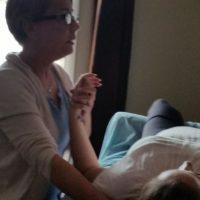 This class offers the therapist a variety of ways to help enhance and polish a traditional massage, including techniques to gently assess the body, comfort and ground clients, based on many different teachings and philosophies. This day includes a brief history of CranioSacral Therapy and its founders, Still, Sutherland and Upledger, a comparison of CranioSacral Therapy’s beginnings and what we know today, as well as different ways we can use soft, gentle techniques as opposed to deep and invasive modalities to physically and energetically help improve our clients’ relaxation and pain management. This is a ¾ day of demo and hands-on practice. Students should bring 2 flat sheets, dress comfortably and bring or wear socks. This is not an Upledger CranioSacral class.